Specials - California Bicycle Inc.
Litespeed T2 Disc Road Frame on Sale! The Litespeed T2 doesn't back down from any challenge on the road. Zone specific shaping takes full advantage of the top tube for a responsive ride when you need it most. Thru Axles stiffen the ride eliminating side to side flex. 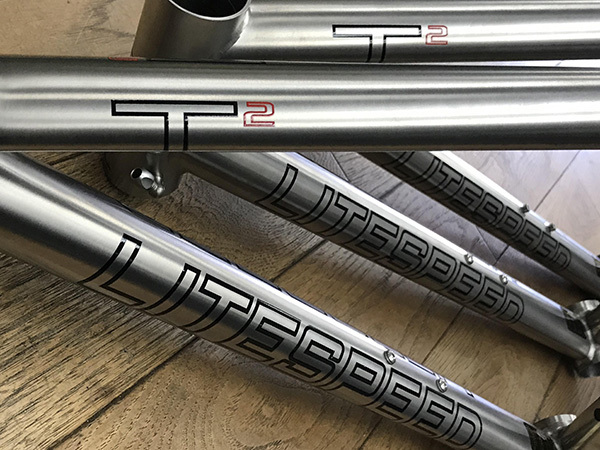 Litespeed designed Carbon tapered flat mount disc 12mm thru axle fork with a 142x12mm rear thru axle with tire clearance optimized for 25C tires (most tires on most rims) comes standard. This Disc specific frame eliminates the need for brake bridge on seatstays. The same BB shell that contributes to the T1SL's lightweight atributes is used on the T2. These weight saving technics add up to a responsive lightweight machine hungry for your next move.